We offer 5 and 8 hour adventures for Flatheads and Channel Catfish and summertime bow fishing trips for carp. The boats you will fishing from are 20 ft Miracle Marine Jet Boats fitted with 200 hp sport jets that will get you to the fish in a hurry. 45 mph in 4 inches of water. the boat can fish 4 anglers with comfort. 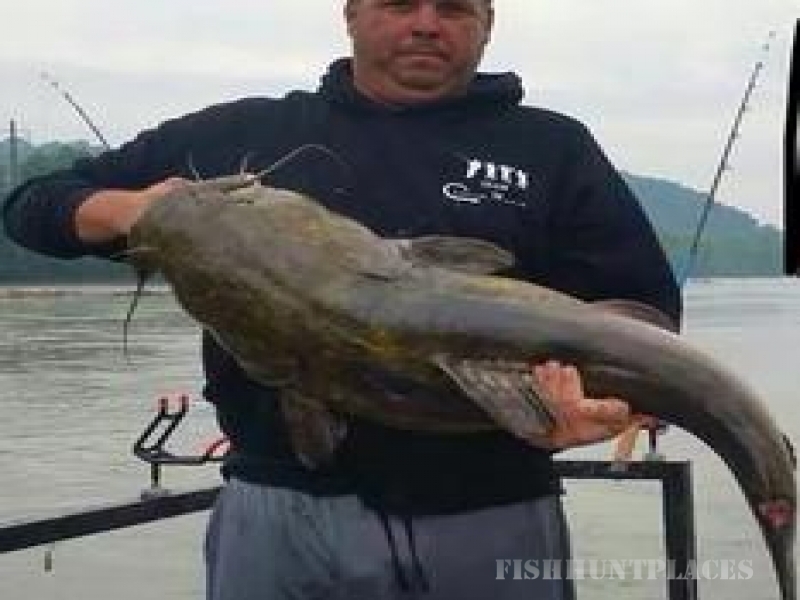 An average Channel Catfish outing you could expect to catch Channel cats 4-10 lbs. maybe bigger. 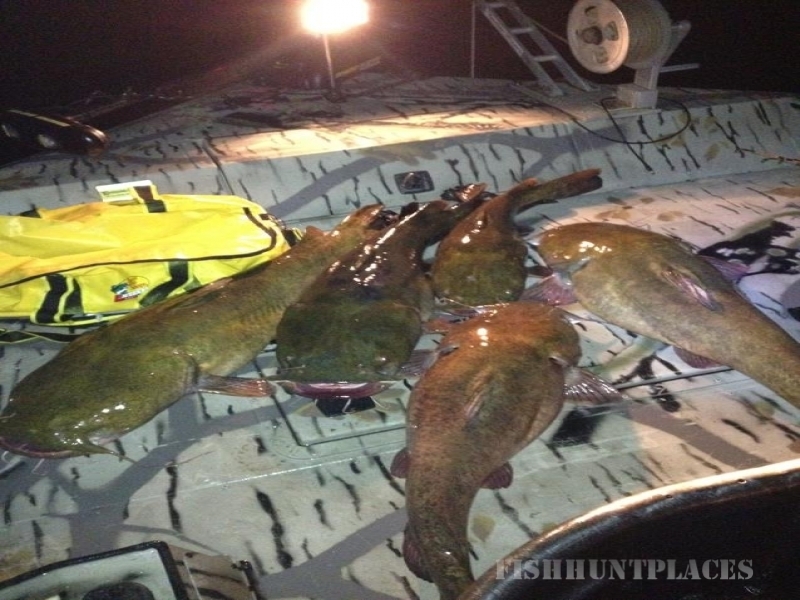 An average Flathead Catfish Trip you could expect to catch flat heads 5-15 lbs. most trips we usally get atleast one over 20lbs. but don t count out a 25-50 pounder. Check out some of the photos of the catch! Remember, its called "fishing", not catching. I always do my best to get you on the fish. All fish over 10 lb will be released.